Our featured portable is the NINJA Portable Extraction Unit made by Century 400. This is a powerful time-tested unit built right here in Canada. 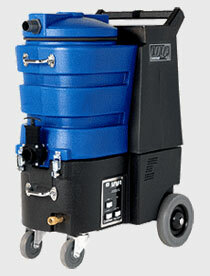 It is easy to use and transport and does the job of much larger units. That's why the NINJA Warrior is the world's number one extractor. With eight models to choose from, ranging from 150 PSI to 1200 PSI, with or without heat, the NINJA has the performance and features you need at a price you can afford.